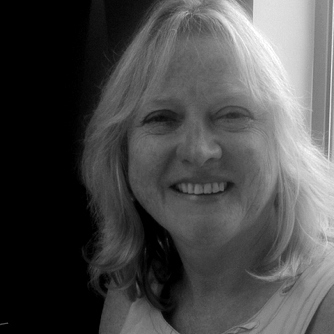 Mairi’s expertise is in management and leadership, particularly in the management of change. She has particular knowledge of Corporate Governance and work with Boards, Trustees and Politicians. Her 8 years in business consulting is complemented by 34 years’ experience in local government and health; she was Chief Executive of Waveney District Council and Northampton Borough Council. Until 2006 she was Chair of the Ministerial Taskforce on Bullying and Harassment in Local Government, and of the Northamptonshire Children and Young People’s Partnership Board and Crime and Disorder Reduction Partnership. Mairi is a Non-Executive Director of Royal Cornwall Hospital Trust and Senior Independent Trustee of The Heartlands Trust. She has also been a board member of the Society of Local Authority Chief Executives and Senior Managers, and of Network Rail. Mairi holds visiting lecturer posts at three British universities, and undertook doctoral studies around leadership and action learning. She continues to research and write about her work. Mairi works in a wide range of business settings including the Public and not for Profit sectors; clients include Nominet, University of Westminster, ACAS, PSG Cornwall, Essex County Council, Network Rail, Anders Elite, CSB Outdoor, de Beers, as well as a number of local Government organizations and small to medium sized enterprises (SME). She is a coach, a consultant advisor and business mentor and builds on her values when working with her clients. She is tenacious in assisting others to develop and does not hesitate, when invited, to grasp nettles. She is involved with clients in generating business solutions to difficult situations and advises on Corporate Social Responsibility issues. "Mairi Mclean brings serious conceptual analysis, grounded in her wide managerial experience, to any assignment. She also offers excellent interpersonal skills. This is a winning and powerful combination for any enterprise that is open to solve its problems and move onto new levels of successful performance."